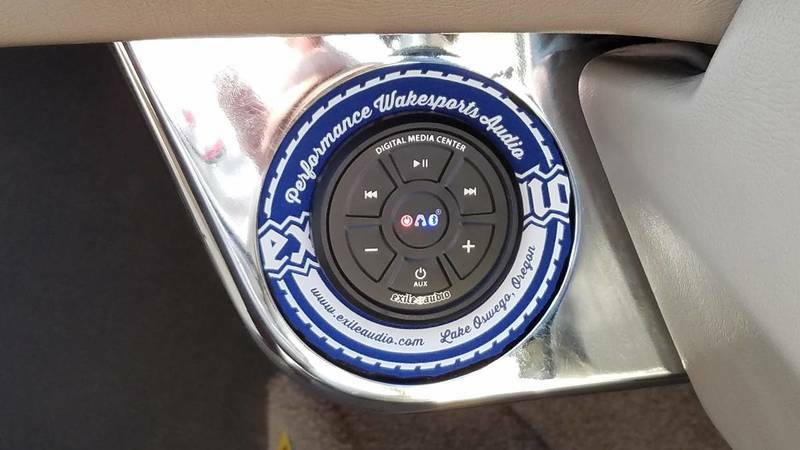 How do i Connecting Bluetooth to 2014 Wakesetter 23 LSV. Do you have the Mobile Device Gateway? Otherwise you can use a Bluetooth adapter for AUX you buy somewhere. At least that is what my dealer told me. Also a 2014 23 lsv (without MDG). IF the boat does not have the OEM gateway, I would highly suggest getting a universal BT rather then try to source the OEM unit. FAR better options these days then that unit. Has anyone installed this one or is there a better one ? I assume I would get a phone plus to 3.5mm adapter. Theres about a half dozen others under different labels, that are the same as those those. I have the OEM one in my 2014, and upgraded to the Exile. Works much better. Did you get a 3.5mm into phone plug adapter for it and then where did you wire it into the system? My 2008 jbl is on the passenger side where the batteries are but most wires lead over to the main dash...Perhaps I could just tap into the jbl power wires? No on the 3.5mm plug. I wired it into the Exile zone controller I installed at the same time. If I was not doing the zone controller, I would have just replaced the OEM unit in the RF. On the 2008, unless you have an open RCA spots, or at least something you are OK with disconnecting, I can see where you'd need the 3.5mm adaptor. I had the exile unit you linked. Sound quality was great. The only thing I didn't like was the fact that I had to go to the source, my phone, to switch songs. I ended up upgrading to this BT UNIT. I have this as well. Works great. Thanks. Just cut up an Exile can koozie to fill in around it. Its also very easy to incorporate with the Exile dual zone volume knob. Would this be a good option? Or are the ones where you need to splice the wires and ground to power better? I installed the Exile one in my 2008 and have been very happy. I did end up adding a (forgetting the name of the adapter but it eliminated some extra noise that was present from time to time). Purchased it from Bakes. Very nice to deal with. Specifically, what s involved in the installation of the Exile one? What is needed to splice the wire and ground to a power source? Are there any instructions somewhere, or better yet, a video showing how to do it? And what type of adapter did you need with the Exile one? If you are close to Seattle, I am happy to do it with you. I should hopefully be able to figure it out. Either by myself, or getting a handy friend to help out. What adapter did you purchase from Bake's? I would get the exile unit or its JL Audio clone (whichever is cheaper). Power it by piggybacking from the + and - from your tower or cabin speaker amp. Make sure there is a fuse on the + side. You will need a short two channel RCA cable (3’ would be good). Find the aux input on your black box and plug into that. 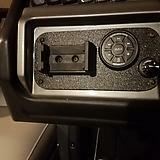 Personally I would trace back from the glove box 3.5mm input (if you have one) to where that connects to the black box, unplug it from the black box, and plug in the rca from your BT unit there. Note — doing it this way is the “simplest” way, but will result in the BT unit being turned on whenever your amps are connected to power. If they are wired to your battery switch, this means that the BT unit will turn off when you turn your battery switch off. On some older boats it is not uncommon for the amps to be wired straight to a battery. In that case you would want to use a relay to turn the BT unit on and off with the stereo. Or if you don’t want to learn a little about 12v electronics, drag your boat to the local stereo shop and have them do it. I can’t imagine they’d charge more than $50 + parts for a simple install like that? @MLA am I in the ballpark there?